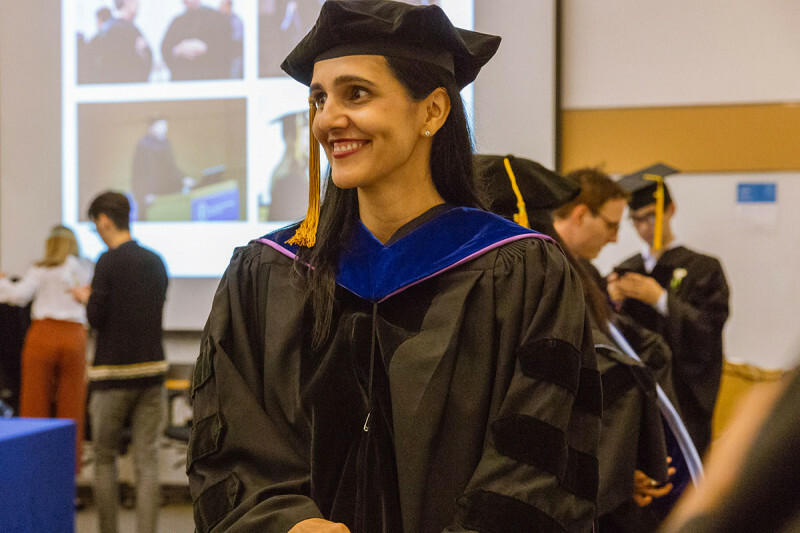 Memorial Sloan Kettering’s 2018 Convocation and Gerstner Sloan Kettering Graduate School of Biomedical Sciences Commencement ceremony honored the accomplishments of clinicians and scientists from both MSK and the broader research community. 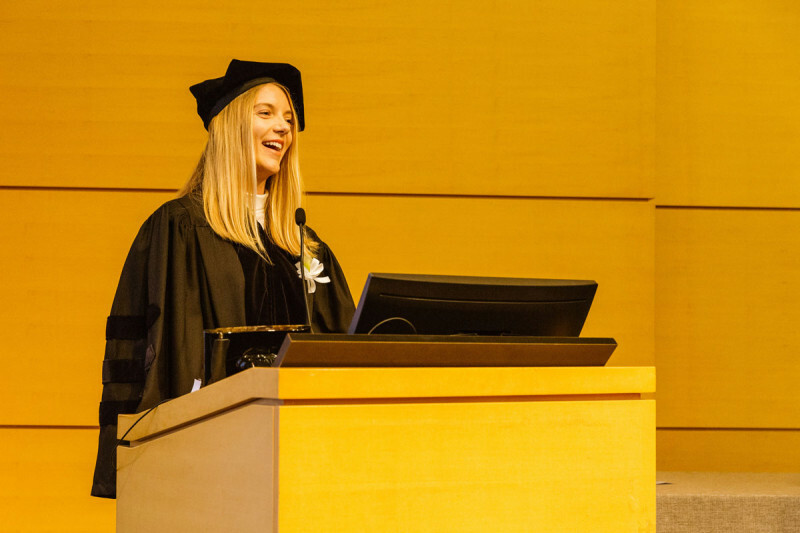 On May 30, 2018, Memorial Sloan Kettering’s Zuckerman Research Center Auditorium played host to MSK’s 39th annual Academic Convocation and Commencement. 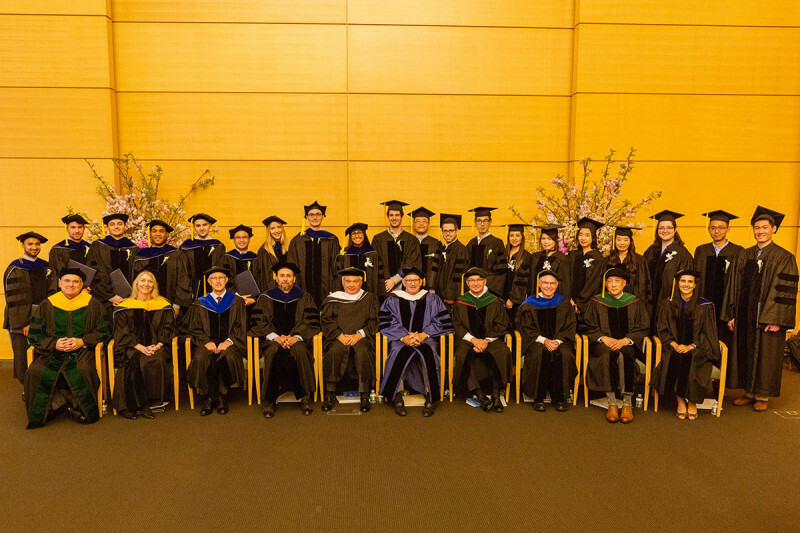 The ceremony honored the nine students from the Gerstner Sloan Kettering Graduate School of Biomedical Sciences (GSK) who received their PhD degrees in cancer science this year. Awards were also presented to distinguished scientists and clinicians from both MSK and other institutions. MSK President and CEO Craig B. Thompson began the festivities by introducing the day’s other speakers and welcoming all the attendees, including the GSK graduates and their families, the award winners, and other members of the MSK community. Dr. Thompson highlighted many advances in cancer science since the last convocation and commencement gathering. These included the US Food and Drug Administration’s approval of two drugs that originated in MSK labs, the success of immunotherapy for tumors that have a high mutational burden, important advances in structural biology, and discoveries that made surprising links between cancer and neurodegenerative diseases. He also highlighted the FDA authorization of MSK-IMPACTTM, MSK’s test that looks for hundreds of cancer-related mutations in tumors. 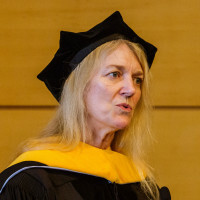 In addition to the nine new PhD scientists graduated from GSK — which brings the total number of alumni to 53 since the school admitted its first class in 2006 — Dr. Thompson also congratulated 32 graduates from Weill-Cornell Graduate School of Biomedical Sciences’ class of 2018 who undertook their thesis work in MSK laboratories. 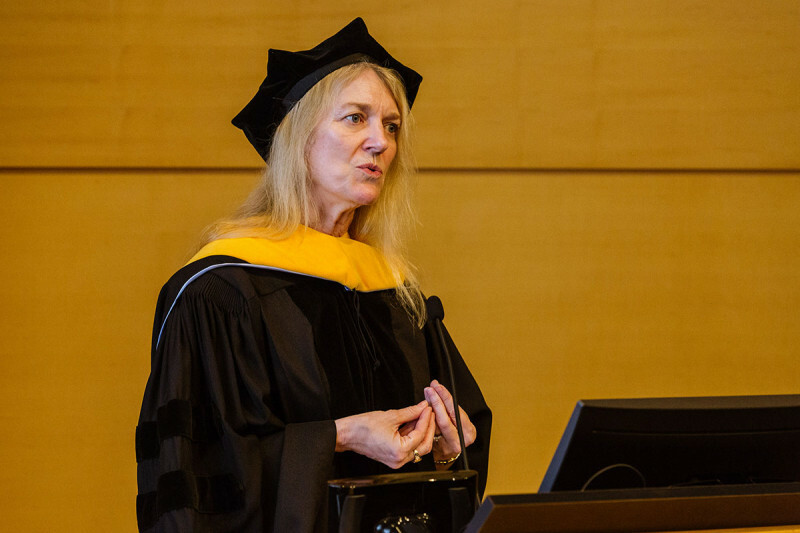 One of the highlights of the ceremony was a talk from neuroscientist Cori Bargmann, who leads the Lulu and Anthony Wang Laboratory of Neural Circuits and Behavior at The Rockefeller University and is also head of science at the Chan Zuckerberg Initiative. There's never been a time to be more inspired by what science and medicine can accomplish. Dr. Bargmann also discussed the importance of using technology, including computation and machine learning, to address problems central to human biology. “The captivating tools of Silicon Valley have a great deal of potential when we are able to deploy them based on what we know from our deep knowledge of science and medicine,” she said. She concluded her talk by calling for more openness and sharing in biomedical research, and for making patients’ experience and knowledge more central to science. Another speaker at the ceremony was GSK student speaker Catherine (Kasia) Konopacki, who completed her doctoral research this year in the lab of immunologist Alexander Rudensky. Her thesis focused on a type of immune cells called regulatory T cells, and the importance of these cells in breast cancer. 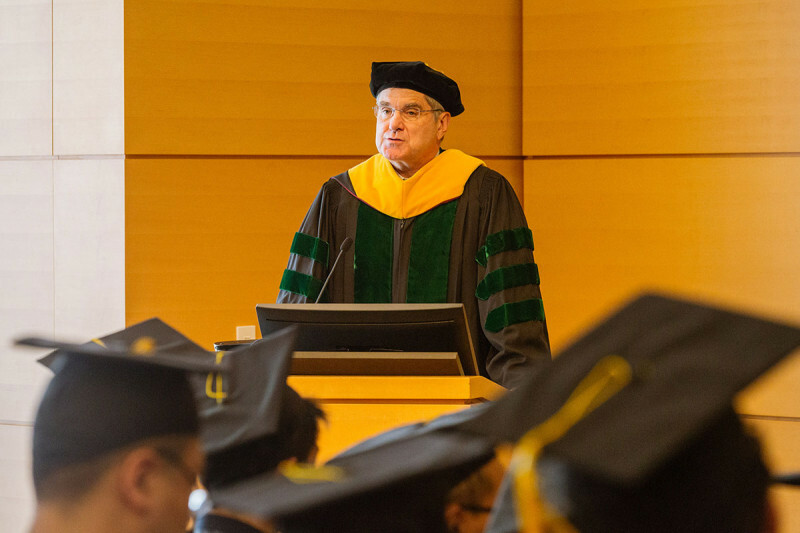 Nine students will don caps and gowns to celebrate their academic achievements and receive their PhDs from the Gerstner Sloan Kettering Graduate School of Biomedical Sciences (GSK). Gary Dixon, a graduate student in Danwei Huangfu’s lab, received the Frank Lappin Horsfall, Jr. Fellowship. Nicole Weiss, a graduate student in Minkui Luo’s lab, received the Dorris J. Hutchison Fellowship. Stanislav Dikiy, a graduate student in Dr. Rudensky’s lab, received the new General Atlantic Graduate Research Fellowship. Postdoctoral fellows Neta Schlesinger, of Tobias Hohl’s lab, and Ly Vu, who works in the labs of both Michael Kharas and Ross Levine, received Postdoctoral Research Awards. 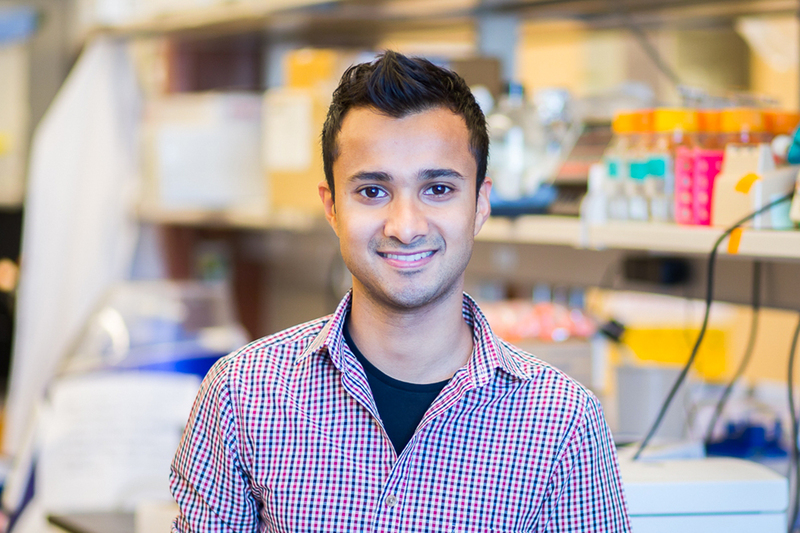 Postdoctoral researcher Hui Yang of Dinshaw Patel’s lab received a Tri-Institutional Breakout Prize for Junior Investigators. Philipp Niethammer of the Cell Biology Program received the Louise and Allston Boyer Young Investigator Award for Basic Research. 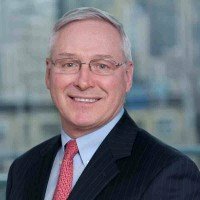 Michael Berger, a geneticist and Associate Director of the Marie-Josée and Henry R. Kravis Center for Molecular Oncology, received the Boyer Clinical Research Award. 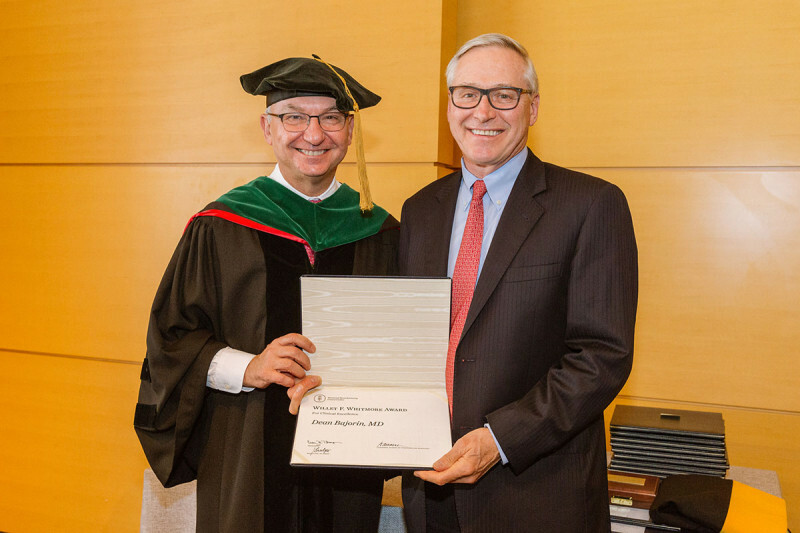 Dean Bajorin, a medical oncologist who specializes in treating genitourinary cancers, received the Willet F. Whitmore Award for Clinical Excellence. 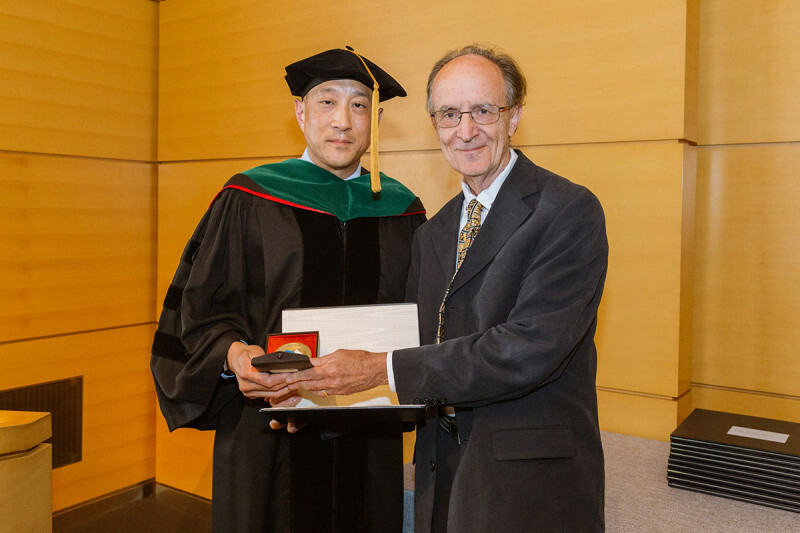 Melvyn Greaves, a professor at the Institute of Cancer Research in the United Kingdom, who received the Society of Memorial Sloan Kettering Prize.